PLEASE NOTE: Due to increased demand at this time, some sizes may be backordered and may ship separately. If you have any questions, please contact us. I bought a small and it fits like a large, at least. I will have to return it. 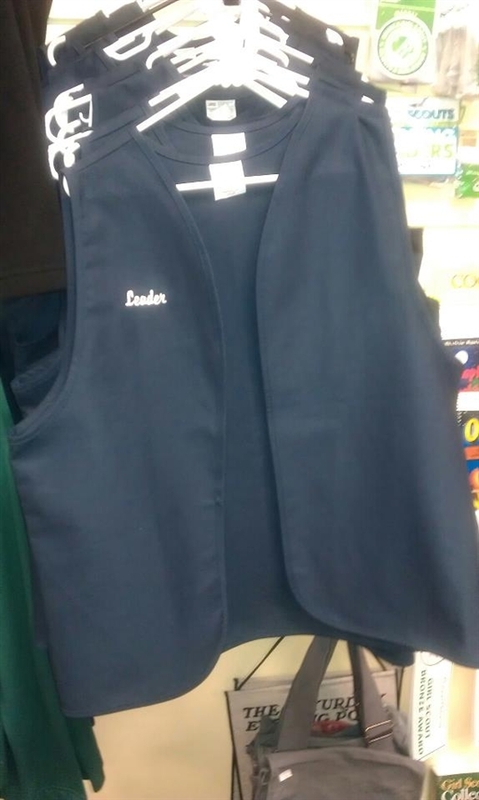 I am very disappointed they do not have any smaller sizes yet the vest size goes up to an Adult 3X. Too bad because it seemed well made. Runs a little big but perfect to wear over outerwear! My girls love that we all look the part and that we share fun patches. This vest is perfect! Like others said it does run a bit big but that just means it’ll fit over outerwear during cookie season! My girls were thrilled when I showed up to a meeting with my own vest! The vest was a perfect fit! I normally wear a Medium in tops and the Small vest was an excellent fit...even over my Girl Scout hoodie! Should feel/appear a bit looser with just a white button down. Thanks for designing this vest and please keep selling it! The sizes run big. My co-leader and I ordered the Large and they were huge. I typically wear a 10-12 in tops but this was more like a 16. I plan to reorder and should probably get a small but I do not wear a small anything :). Will risk the medium still being pretty big.